Horizontal locks for old style front doors typically used with door knobs are still very popular, but finding one offering the level of security required these days for external doors can be difficult. This Imperial lock boasts the ever-popular 5 lever locking mechanism which is considered to now be the standard security of an external door such as your front door (or back door for that matter!). Most insurance providers require a lock with a 5 lever mechanism or higher. 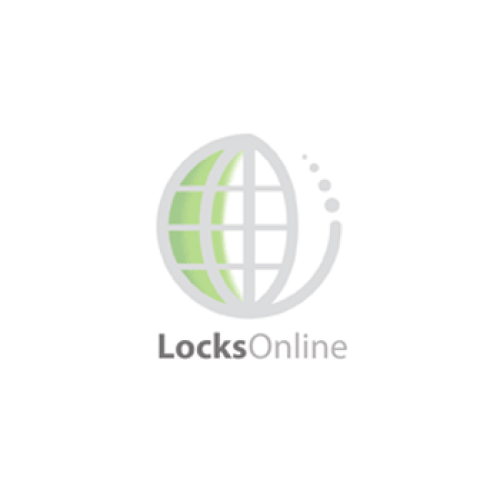 Imperial locks have excelling in the manufacturing of door locks since 1982, and are a UK based company founded in Willenhall - which is without doubt the very heart of British security products. These particular locks that Imperial have produced, are the answer to high-security 6 inch horizontal locks on front doors. Whilst they do not have a British Standard Kitemark, they do meet the minimum security requirements for front doors. 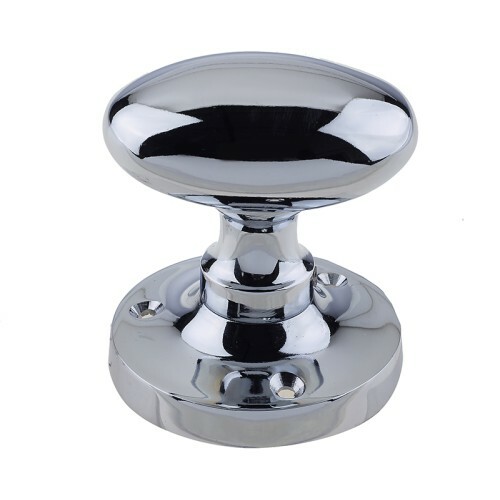 They are available in a Brass or Stainless Steel finish as standard, but can also be purchased with Polished Brass or Polished Stainless, as well as Black and Bronze finishes. 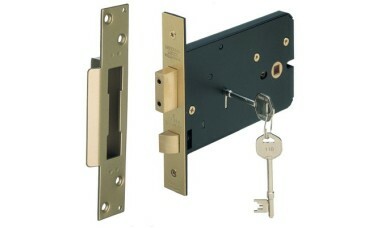 The locks come supplied with fixing screws, a full construct strike & keep plate, as well as two keys as standard. Hi guys, my name is Darrel and I'm head of the tech team here at LocksOnline. Thanks for taking some time to tune in and have a quick look of one of our product review videos. 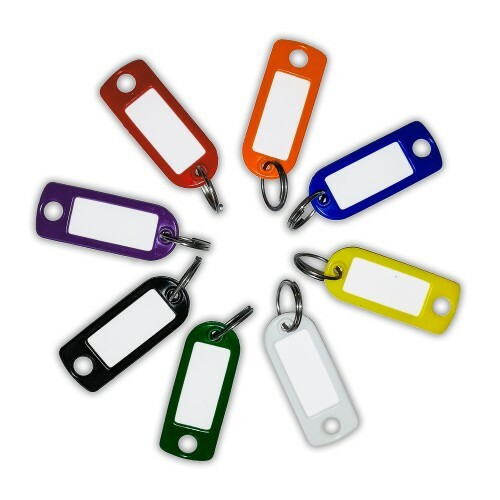 Now we're putting these short little videos together to be able to give you our customers the opportunity to see the products that we have to offer in hopefully a little bit more detailed than you may get from just an image or a bit of descriptive text. 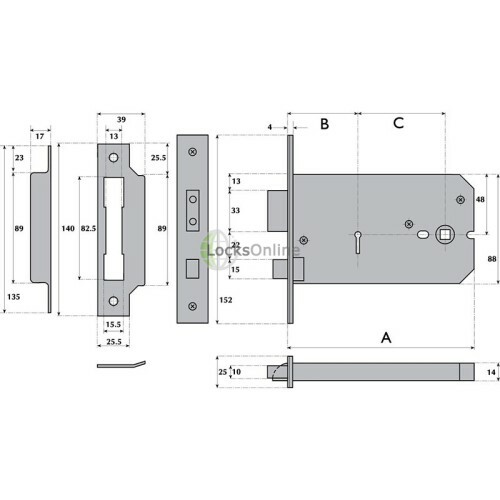 Today I want to show you a horizontal lock we have on our website. 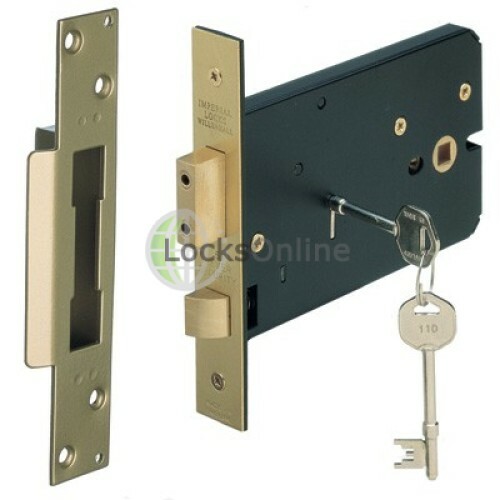 It's manufactured by the company Imperial which is a British based company and this particular lock is what we call in the industry, a horizontal lock. In other words is designed to fit the majority of the older style where we used have a knob on this particular side here, and then you have the key hole a little bit further. Some of the unique distinct settings in regards to this is that the actual latch always sits on the bottom of this particular type and the bow then sits on the top as you can see here. Now this particular version, as you can see here via the key, is the satin nickel or the satin silver finish there. But it's also available in a satin brass finish as well. 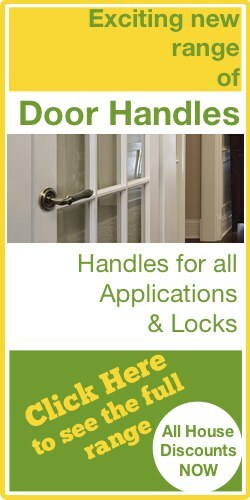 If you plan on wanting to use knobs on your door or a sort of spring loaded knob etc. and an escutcheon, then this is the traditional style that you may probably see a lot of in the UK in respects to that. You may also find as well that there's a lot of this particular type of lock were fitted way before decimalization, so just a few top tips. If you've got a lock that's really, really old, the chances are that the measurements maybe slightly out, but it will be the nearest that you will be able to get these days. One of the advantages with this one as well, it is actually a five lever lock, which means that it can be used on external door. We will check with your insurance. But normally five lever is about the least now or the minimum that your insurance company will accept for an external rated door mostly is British standard. This particular lock is just five levers. So you're 90% there so to speak. So once I have it in my hand here, let's get a few measurements for you, therefore they give you an opportunity to measure up against your particular door to see whether or not this is the lock for you. The overall length for this particular lock is about 152 millimetres from one end to the other. The backside measurement to the follower, this is what we call a follower this particular part here, takes an 8 millimetre spindle, that follower distance there to the centre there is around about 127 to 128 millimetres. And then backset to the keyhole also, if I just measure that from there, you're looking there at around about 57 millimetres there. The case height is I'm going to go 82 millimetres and the fore end width right there, if I could just get that measurement on that, the fore end length is 153 millimetres and the fore end width by all means is about 25 millimetres. And as you can see there, it's showing the five lever security measurement on there, and it's also CH stamped and obviously nice to see it's made in England which is really, really great. Also it comes with a keep here, with a full body keep as well and it also comes as well with some fixing screws. So you've got everything there that is needed. Another point I want to mention too as well is as you can see it has these holes on either side of the follower. This is to allow you to use both through furniture and the general centres there around about 38 millimetres, is a degree of tolerance side to side. So there you go guys, that's one of the products that we have available on our website. But by all means if you need a bit of information on this or any other products that we have online, pop us over an email, use the live chat that we have or simply do it the old fashioned way and pick up the phone and give us a call. We'd love to here from you and more importantly we'd love to see you as one of our customers. So from me Darrel, and all of us other team, thanks for taking the time to tune in and we'll catch up with you real soon now I hope. Take care now. Bye-bye.